Free webcast on a practical procurement methodology. Proven results on global scale at SABIC IP. A unique mix of practical and pragmatic tools and coaching, quicker and more cost effective than the well-known bigger consultants' methodologies! 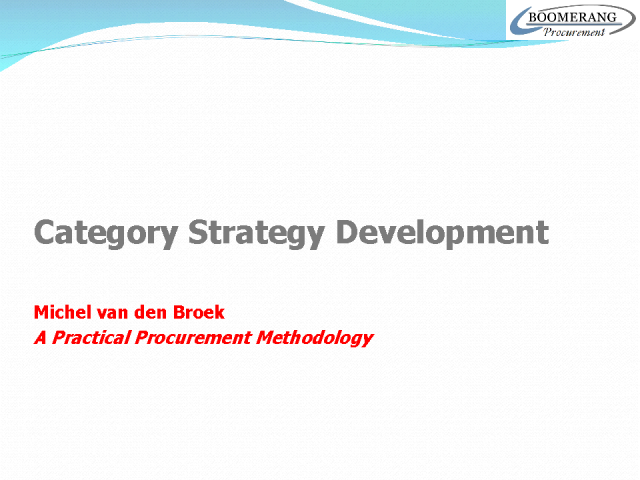 Improving procurement by appying the practical procurement methodology tools and coaching. A new, quick and cost effective way of coaching towards a higher level (strategic) in procurement. learn to setup category segmentation, create category plans.